Modern’s had some year. Star City Games kicked off its Modern-heaviest SCG Tour schedule yet, Modern Masters 2017 dropped containing a slew of much-awaited reprints, and multiple pros came around on the format (with some even calling Modern the “The Greatest Format“). And—most recently—Wizards of the Coast announced Modern is back on the Pro Tour. Wait, back on the Pro Tour? Last time Modern was on the Pro Tour, its position there was blamed for the Splinter Twin ban, both indirectly by Wizards and more explicitly by the community (and even by writers on this very site). So, what gives? Are we in for another round of “shake-up bannings?” We’ve received a wealth of information from Wizards about Modern since that fateful January; today, we’ll size it all up to answer that question. Format newcomers will no doubt consider the addition of Modern to the Pro Tour great news. Having Modern on the Pro Tour means they’ve got something highly engaging to watch come Pro Tour season, not to mention something to maybe play for in the very distant future. I know if the Pro Tour were always in a format I didn’t like for whatever reason (say, because it rotates and I don’t get to jam my favorite cards), making it to the Pro Tour would strike me as less appealing. With Wizards’ announcement, the bunch of Modern PPTQs currently underway represent quite a ceiling—this tournament at my LGS could lead to a seat on the largest Magic stage in existence, and I could be playing my pet deck the whole time! Going a bit deeper, Modern’s position on the Pro Tour signals a doubling-down by Wizards on their support of the format. Sure, Modern Masters sets seem to be going nowhere, and Star City Games has supported Modern unconditionally this year. But Wizards’ recent gaffes in Standard, and their ham-fisted attempts to fix it, have all but left Modern on the back burner. Add to that occasional waves of community interest in unofficial formats like Frontier, and Mark Rosewater’s hinting at design considerations for a post-Modern format, and newer players have wondered if it’s financially reasonable to buy into Modern. For many, purchasing a deck full of pricey staples is excusable only if the format’s liable to exist five years from now. Putting Modern back onto the Pro Tour should quell some of these fears, as it’s a bone thrown directly from Wizards to players and lovers of the format. The move is as tangible a “we still love Modern” as we could hope for from the company. Longtime Nexus readers and Modern players are bound to be more cautious of the announcement. After all, Modern was removed from the Pro Tour for a reason; nay, for multiple reasons. When Modern was axed from the Pro Tour in 2016, Wizards had plenty to say. 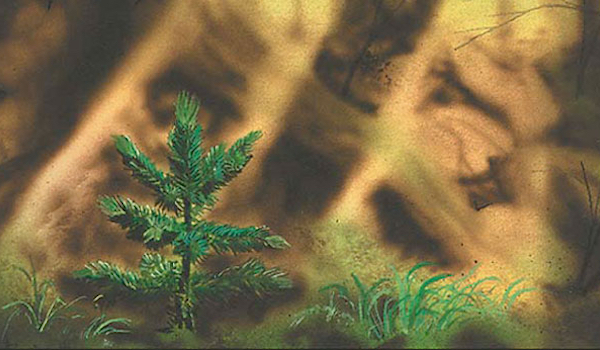 Let’s look over Aaron Forsythe’s now-classic Modern article, “Where Modern Goes From Here,” to see if his points still stand. So why isn’t [Modern] right for the Pro Tour? It comes down to our goals for the events. The first is that we want to reward good drafting, innovative deck building, and tight gameplay in unestablished environments. Second, we want to highlight the newest card set. To those ends, we positioned the Pro Tour events just a couple weeks after each new set comes out, which both provides the fresh new proving ground for our players and showcases each new set in a premier-level setting right at the beginning of its life cycle. Modern has definitely shown itself of late to be a format that rewards innovative deck building. Take the breakout success of Jund Shadow. That deck soon morphed into Grixis Shadow, which in turn opened the floodgates for previously-unplayable decks like Death and Taxes and UW Control to stake out shares in the metagame. Tron’s major adjustment of becoming more of a midrange deck with Eldrazi creatures, another stride made to combat Shadow decks, has equally affected these shifts. The discovery of Death’s Shadow has spurred Modern into a state of comfortable dynamism, boasting a fluctuating lower-tier metagame while retaining slower-moving pillars of linearity (Affinity, Burn) and interactivity (Shadow, Tron). Its established set of “best decks” isn’t overpowered as to keep out innovation, instead promoting creativity as a way to attack the hyper-focused strategies at the top. As for showing off new sets, Modern isn’t much better than it used to be. But it’s always been fairly adept at this goal, at least in my eyes, and despite what Aaron claims in the quote above. Ceremonious Rejection, Walking Ballista, and Fatal Push are just some of the many cards that entered the Modern consciousness with the recent Kaladesh block, and all have reshaped the landscape (especially the latter). With Wizards apparently committing to including more general answers in newer sets, the odds of another Fatal Push-esque card appearing in Standard are high, and these types of all-purpose solutions are often recruited for Modern play. Our top players pointed out to us that Modern wasn’t often about innovating or solving the puzzles presented by a new card set, but rather it rewarded huge numbers of repetitions with established decks, and while that kind of play can be interesting and is relevant to a lot of the Magic audience, it wasn’t what the Pro Tour was supposed to be about. Everything above said, Modern certainly will remain a format about putting in reps. Nothing has changed in the last year on this front. Wizards must have decided they want their Pro Tour to be about watching highly experienced pilots after all. In order to try to present the players with a new environment to explore, we’d implement the changes to the banned list that we had identified throughout the previous year right before the Pro Tour, which often cast a shadow of dread over the impending Pro Tour for many of the format’s fans, as the spotlight of a Pro Tour accelerated the rate at which we’d ban problematic cards in the format. @modern_nexus @Oopssorryy All the Eternal formats have occasional bans. Modern has more pressure than the others because of the Pro Tour. @rflir @thenatewalker PT predicates bans. They aren't random, and I was agreeing that the public should understand this. I hear you loud and clear re: "shake-up bannings" in advance of the Modern PT. No plans for that. We plan to manage the format as we do now. I’m not sure this tweet suffices as reassurance (I’d say we’re due for an official, base-touching article from Wizards explaining their re-addition of Modern to the Pro Tour in depth). But it definitely helps! On top of that, the skill of the pro players combined with the high incentives of the event really accelerated the tuning and development of the best decks (such as this year’s Eldrazi menace) to a large degree, which isn’t great for a format that is designed to change very slowly over time. We’d rather let those deck evolutions play out over months on Magic Online or at store-level events, as that accelerated metagame pace often just means speeding up more changes to the banned list as well. We live in an era dominated by information, and Wizards increasingly limits how much of it reaches us—with the stated goal of preventing formats from becoming “solved” too quickly. Agree or disagree with Wizards’s data secrecy, one thing is for sure: the company feels that solved formats lead to decreases in diversity, and I’ve yet to hear any convincing argument to the contrary. What does this mean for the Modern Pro Tour? Well, if groups of highly motivated professional players band together, as they do, and “solve” the format, as they are indeed paid to do, diversity is then bound to decrease, and Wizards is then bound to ban something. That sort of banlist management, which pays attention mostly to hard numbers and diversity indicators, is still “as we do now,” to quote Aaron. The next step, at least for me, is to take both sides into account and come away feeling okay about this decision. More exposure does translate to more players, and I’m happy Wizards is seriously recognizing that people love to play and watch this format. The way I see it, the ceiling on this decision is pretty high—more people flock to Modern, and Wizards perhaps invests more resources in improving and maintaining the format (internal testing teams, the consideration of non-Standard supplementary products, a Modern “press secretary” who would regularly communicate with players about Wizards’s visions and goals for the format, etc.—all things that might be worth looking into). The floor? Some cards are banned in Modern and Wizards cancels the Modern Pro Tour again. Modern survived the first time that happened, and bounced back stronger than ever. Call me a believer. Modern’s return to the pro tour was inevitable after all. As WotC stated in Magic Digital Next, they see Magic as one of the 5 top e-sport brands (especially streaming potential). Modern is the most popular format and -moreover- receives the highest attention online. Appearently WotC realized that Modern shouldnt be utilized to promote new sets like standard does but, on the contrary, promote competetive Magic overall. Will it lead to a more streamlined version of modern? Maybe but unlikely. Grixis shadow is currently considered the best deck in the format, promoted by many a pro and it certainly holds its ground. Yet, the format is battling back on all fronts. The card pool is so deep that (unless completely broken sol lands are overwhelimg normal efficiency scales without a real drawback) it seems that players usually find ways to keep up. titanshift added 2 omens and 2 relics main, white has condemn and crusader, ds by default does a lot of work for red decks, green just outvalues ds and even a simple land like grove of the burnwillows allows for significant tools of disruption. these are very specific examples ofc, but showcase the variety of ankles decks arrange themselves. Unban Stoneforge, give control miscalculation and lets see where we are headed. Certainly looking forward to watching the Pro Tour again! Yeah, I’m onboard for the Modern Pro Tour. To put it simply, Modern remains my favorite format, and it’s fun to see people play your favorite format at the highest levels. Color me skeptical. Banning cards (Birthing Pod, Splinter Twin) purely for the sake of shaking up the format feels awful for people who owned those decks, and the last time we had a Modern PT the pros “broke it” and put us into several long months of eldrazi winter. And don’t forget that no matter how “awful” it feels to have your deck banned, we’ve seen multiple bans of this variety now (Pod, Twin, Delver, Eldrazi), and yet Modern is more popular than it ever has been! So clearly players don’t mind in the long run.